Kiehl’s Laboratories launch Youth Dose Eye Treatment, a powerful new eye formula designed to help revive the look and feel of the under-eye area both instant and long-term. 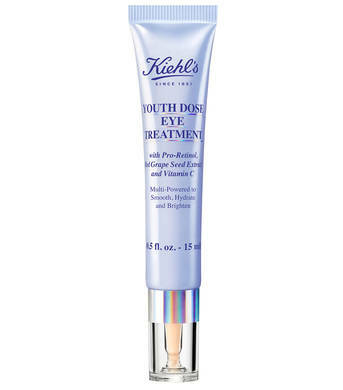 Kiehl’s Youth Dose Eye Treatment is formulated with a special derivative of Retinol (Vitamin A), named Pro-Retinol. This powerful ingredient is used to help smooth skin, reduce the look of fine lines as well as the appearance of puffiness. 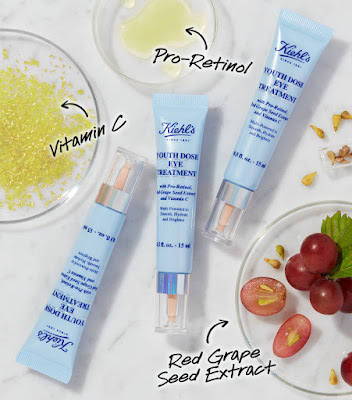 A polyphenol-rich, antioxidant Red Grape Seed Extract is added to brighten the delicate skin around the eyes and diminish the appearance of dark circles. A special form of Vitamin C, Vitamin Cg (Ascorbic Glucoside) works to improve skin radiance and its texture. Immediately upon application it smooths, brightens, and moisturizes the under-eye area. At the same time, with continued use, it works to gradually reduce the look of fine lines, dark circles, and puffiness. According to clinical studies conducted on 54 Female subjects, ages 30-55, the first results should be noticeable in no more than two weeks! The treatment is presented in an elongated blue tube with a unique tip that provides optimal dosage. To use, apply 3 dots under the eye area and pat and smooth the formula. 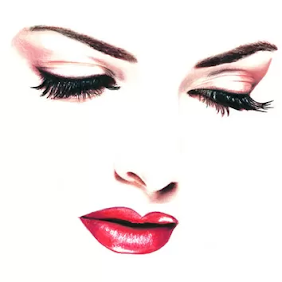 Can be used twice a day, morning and night, alone or under makeup. 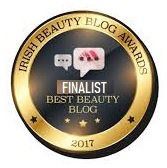 The illuminating formula doubles as a primer for concealer, helping to improve its application and wear. 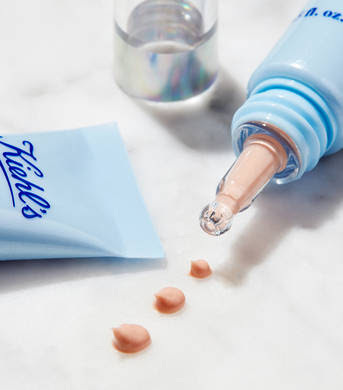 Delighted to read this Elizabeth, Kiehls have the most amazing range of skincare, always something to suite everyone and their skincare needs.